Slimtech is the new creation that completes the project of Surfaces by Lea Ceramiche. 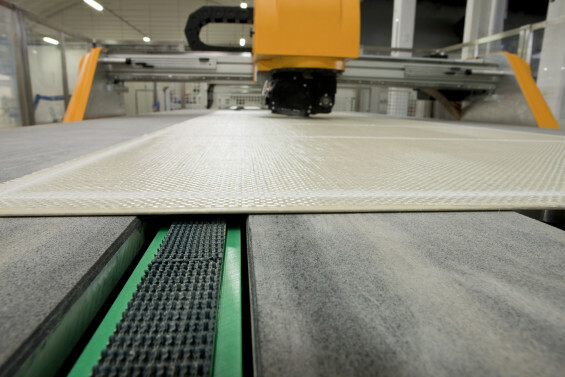 Thanks to the innovative porcelain compaction technology that revolutionized the traditional production process, Slimtech is produced in full slabs of 3×1 meter and 3mm thick without using any mold. Starting with an accurate selection of raw materials wet-grinded and made into an atomized powder, we proceed with compaction and pressing with a strength of 15,000 tons. The slabs obtained are then sintered at 1200 Celsius through firing in kilns, reducing the CO2 emissions and the dispersion of thin powders.